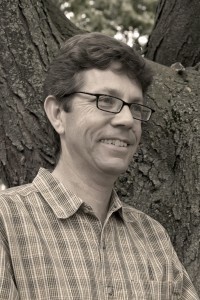 David Johnson specializes in the evolution and biodiversity of ferns and tropical trees. In the course of his work, he has visited 12 tropical American countries, two African countries, and five countries in southeastern Asia to collect and study plants. He has described more than 30 species of plants new to science and has written articles for publication in collaboration with colleagues from 10 different countries. His research has been supported by the Fulbright program, the Field Museum, and the American Philosophical Society, among others. “I like my students to do hands-on work; to look at something, pick it up, and examine it closely. I also think students learn from working with other students, so I try to create opportunities for them to work collaboratively as much as possible. “Our class trips to the Great Smoky Mountains enable students to observe, and learn about native trees and shrubs in temperate North America as they hike in the Park. Field experiences such as that, or being able to do research through OWU’s Theory-To-Practice Grant Program, in an institution such as the New York Botanical Garden, build understanding. I want my students to learn how to learn. Course content will stay with them for only as long as they use it. They have to have the tools to foster their own learning. 2015. Huberantha, a replacement name for Hubera (Annonaceae: Malmeoideae: Miliuseae). Kew Bull. 70: 23. (with T. Chaowasku, R. W. J. M. van der Ham, and L. W. Chatrou). Ecology, Evolution and Systematics 17: 1–16. (with D.C. Thomas, L. W. Chatrou, G. W. Stull, D. J. Harris, and R. M. K. Saunders). 2014. Molecular Phylogenetic Support for the Taxonomic Merger of Fitzalania and Meiogyne (Annonaceae): New Nomenclatural Combinations under the Conserved Name Meiogyne. Systematic Botany 39(2): 396–404. (with B. Xue, D. C. Thomas, T. Chaowasku, and R. M. K. Saunders). 2013. The short-term germination and establishment success of deer-dispersed seeds in mesic temperate forests. Journal of the Torrey Botanical Society 140(3): 334–348. (with L.H. Blyth, L. J. Ouborg, and L. J. Anderson). 2013. Taxonomy and biogeography of the New Caledonian species of Xylopia (Annonaceae). Adansonia 35(2): 207–226. (with J. Munzinger, J. A. Peterson, and N. A. Murray). 2013. Marsileaceae. In Z. Wu, P. H. Raven, & D. Hou, eds., Flora of China: Lycopodiaceae through Polypodiaceae (Flora of China Vols. 2–3). Beijing: Science Press and St. Louis: Missouri Botanical Garden Press. (with Y. Lin). 2012. Characterization of Hubera (Annonaceae), a new genus segregated from Polyalthia and allied to Miliusa. Phytotaxa 69: 33–56. (with T. Chaowasku, R. W. J. M. van der Ham, and L. W. Chatrou). 2012. Keys to the genera of Annonaceae. Botanical Journal of the Linnaean Society 168: 74–83. (with T. L. P. Couvreur, P. J. M. Maas, S. Meinke, and P. J. A. Keßler). 2009. Two new species of Xylopia (Annonaceae) from Borneo. Harvard Papers in Botany 14: 129–135. (with I. M. Turner). 2009. New species from two unknown and highly threatened mountainous areas in northwestern Madagascar: the Galoka and Kalabenono massifs. Candollea 64: 179–202. (with M. W. Callmander, C. Rakotovao, J. Razafitsalama, P. B. Phillipson, S. Buerki, C. Hong-Wa, N. Rakotoarivelo, S. Andriambololonera, M. M. Koopman, T. Deroin, R.Andriamandranto, S. Solo, J.-N. Labat, and P. P. Lowry II). Mwasumbia, from Tanzania. Systematic Botany 34(2): 266–276. (with T. L. P Couvreur, R. W. J. M. van der Ham, Y. M. Mbele, and F. M. Mbago). 2008. Annonaceae. Pp. 197–201 in H. Omaira, P. E. Berry, & O. Huber, eds., Nuevo catálogo de la flora vascular de Venezuela. Caracas: Fundación Instituto Botánico de Venezuela Dr. Tobias Lasser. (with N. A. Murray, J. Murillo, and P. J. M. Maas). 2007. Xylopia decorticans (Annonaceae), a new cauliflorous species from Brazil. Contributions from the University of Michigan Herbarium 25: 207–211. (with A. Q. Lobão). 2006. Water-clover ferns, Marsilea, in the Southeastern United States. Castanea 71(1):1–14. (with C.C. Jacono). 2003. Phylogenetic significance of spiral and distichous architecture in the Annonaceae. Systematic Botany 28(3): 503–511. 2003. Comparative development of aseptate and septate anthers of Annonaceae. American Journal of Botany 90(6): 832–848. (with C.H. Tsou). 2001. Occurrence and paleoecology of Marsilea from the Eocene Wasatch Formation, Johnson County, Wyoming. Palaios 16(6): 608–613. (with F. R. Rich and T. Durkin). 1999. Taxonomy of Xylopia barbata (Annonaceae) and related species from the Amazon/Orinoco region. Contr. Univ. Michigan Herb. 22: 21–28. (with K. J. Bagstad, an Ohio Wesleyan University undergraduate student). 1995. Synopsis of the tribe Bocageeae (Annonaceae), with revisions of Cardiopetalum,Froesiodendron, Trigynaea, Bocagea, and Hornschuchia. Brittonia 47: 248-319. (with N.A. Murray). 1986. Systematics of the New World species of Marsilea (Marsileaceae). Syst. Bot. Monogr. 11: 1–87.